City Weekly has obtained e-mails that show that Mark Robbins, a developer who fled the state in 2009 with numerous creditors seeking millions from him, was still involved in the controversial development of a UTA FrontRunner station in 2010, though he’d told the media he was no longer active in the project. The Utah Attorney General’s Office is currently investigating the project, which was taken over by Terry Diehl in 2008. In 2009, after Robbins told media that he had exited the project, former Utah Attorney General Mark Shurtleff met with a critic of Robbins’ and offered him $2 million to stop an Internet crusade that Shurtleff said was interfering with Robbins’ business ventures. As City Weekly first reported in the May 15, 2013, article “Par for the Course,” Robbins was a principal in Whitewater VII Holdings, which was planning a “transit-oriented development” project for a Draper FrontRunner station, located at 12800 South in Draper. But Robbins found himself in trouble Nov. 26, 2008, when 3rd District Court Judge Sandra Peuler issued a civil judgment naming Robbins as a debtor in a case. Robbins’ company had accepted shares in an Australian mining company as collateral in a stock-loan agreement and, according to court documents, had broken the loan agreement and sold the company shares without prior approval. Peuler issued a $2.3 million judgment against Robbins, who soon thereafter left the state and also removed himself from Whitewater VII. But e-mails recently obtained by City Weekly seem to show that Robbins was involved in the project at least as late as 2010. The turns and twists of the Draper station have been winding through media reports, audits and investigations since 2009. In late 2008, after Robbins left Utah, developer Terry Diehl took over Whitewater VII. Before Diehl was involved in the development, he’d been a Utah Transit Authority board member who had a say in where the project would be. The conflict of interest triggered a 2010 legislative audit of the deal and a 2011 investigation by the Attorney General’s Office to see if Diehl’s conflict of interest had violated the law. In 2011, it was reported that Diehl, by selling his development rights to Jeffrey Vitek, may have made as much as $24 million in profits. While the legislative audit cleared Diehl, the AG’s investigation is still ongoing. Businessman Marc Jenson, who is now serving time for securities-fraud convictions, has said that Shurtleff and Swallow had tried to shake him down and that his original prosecution was politically motivated. After fighting multiple securities-fraud charges since 2005, Jenson accepted a plea deal in 2008 and agreed to pay restitution to a pair of men he’d allegedly defrauded out of $4.1 million in investments. 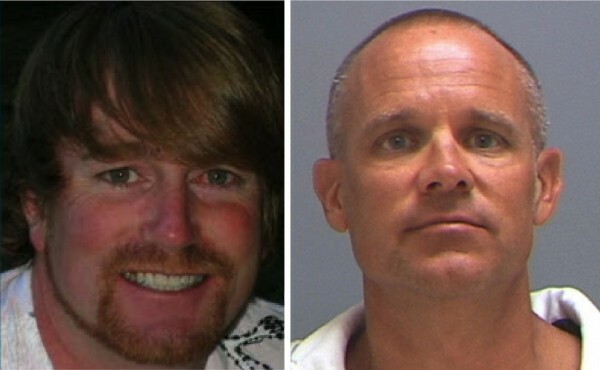 During summer 2009, Jenson courted Shurtleff and Swallow at the luxurious Resort at Pelican Hill on California’s Newport Beach. Jenson says that Robbins, a business associate, was another guest that summer. Robbins, Jenson says, was very much involved in the Whitewater project in 2009 and repeatedly pitched Jenson on investing in the Whitewater development while Robbins stayed with Jenson at the Pelican Hill resort in spring and summer 2009. Jenson says that at Shurtleff’s request, Jenson introduced Shurtleff to business associates of his when Shurtleff was running for the U.S. Senate seat formerly held by Utah Sen. Bob Bennett. At the time, Swallow was Shurtleff’s chief fundraiser, though he was not yet an employee of the Attorney General’s Office. Jenson says Robbins was one of the men he introduced to both Shurtleff and Swallow, and that Shurtleff and Swallow had several closed-door meetings with Robbins at the resort. Swallow did not return comment for this story. Businessman Darl McBride says that in 2009, Robbins owed him $300,000 in a soured investment, so McBride had resorted to “digital bounty hunting” through a website that sought information on Robbins’ location so McBride could serve him with court papers. As City Weekly first reported, Shurtleff defended Robbins in a 2009 conversation with McBride. In the course of the conversation—which, according to The Salt Lake Tribune, McBride recorded—Shurtleff offered McBride $2 million to stop him from interfering with Robbins’ business efforts. McBride says Shurtleff said the website was hurting Robbins’ business prospects. In 2011, the Attorney General’s Office began its investigation into whether or not Diehl illegally profited by steering the FrontRunner transit development to land he owned. But recent revelations that Shurtleff, at least in 2009, was seeking to protect the business interests of Robbins, who was looking to profit on the same development, raise questions about the ability of the office to investigate Diehl and Whitewater. In a Facebook message to City Weekly, Shurtleff said there was no conflict in his office investigating the development because, he says, he was unaware that Robbins had any involvement in the project. Shurtleff also says that in his conversation with McBride when he said McBride was hurting Robbins’ business, he was not referring to the Draper development. While Diehl sold his development rights Dec. 1, 2009, e-mails show that Robbins was still actively trying to raise capital for the new developers, Boulder Ventures, in 2010. An e-mail dated Nov. 10, 2010, shows Robbins soliciting Jenson to get him to invest in the Draper FrontRunner development. Attached to the e-mails are documents projecting cash flow on the developments. One e-mail included a financial projection for the Draper development that lists the proposed investment as $65 million with a profit of $463 million, a 59.36 percent return on investment. Another e-mail City Weekly obtained shows a representative of Boulder Ventures submitting further investment documents to Robbins on Nov. 16, 2010. A representative of Boulder Ventures would not return a comment. When asked about his involvement in the transit-oriented development after he said he was no longer involved, Robbins issued a statement through his attorney James Nesland. Jenson calls Robbins explanation a “big fat lie,” arguing that anyone familiar with investing would know that the detailed financial documents attached to the e-mails are not the kinds of information someone freely passes out at the beginning of a business deal.